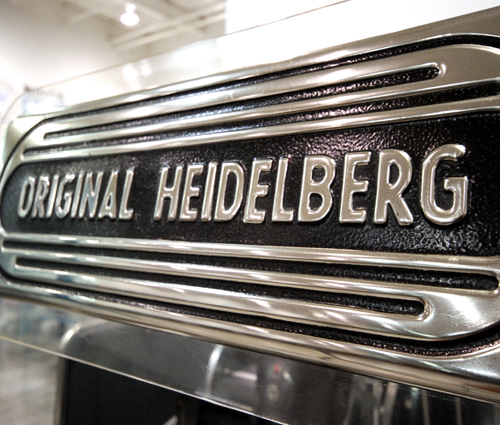 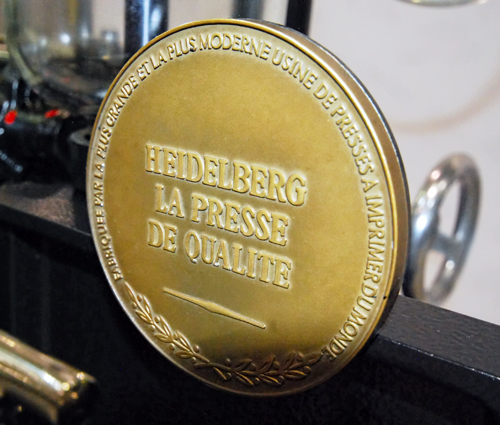 Schnellpressenfabrik AG., later to take the name of its hometown - Heidelberg, was instrumental in designing the world’s most popular automatic platen press. 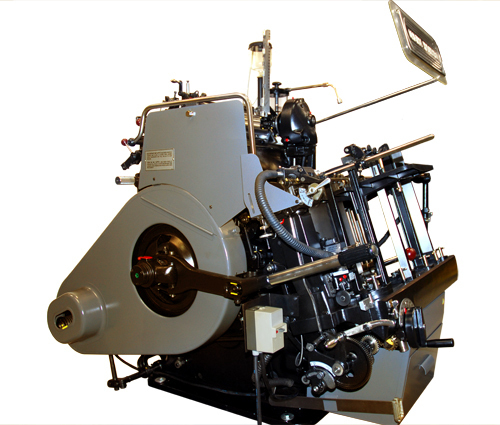 Affectionately known as the “Windmill” for its two flying grippers, the Tiegel (small platen) revolutionized printing by automatically feeding and delivering paper at 6 times the speed of a “hand fed” version. 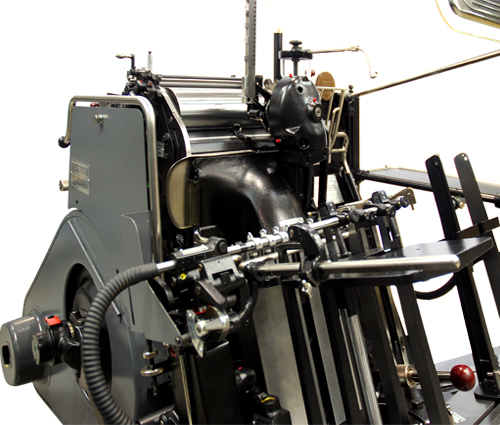 T Platen was first introduced at Bugra 1914 Exhibition in Leipzig, and since then more than 165,000 platens were manufactured. 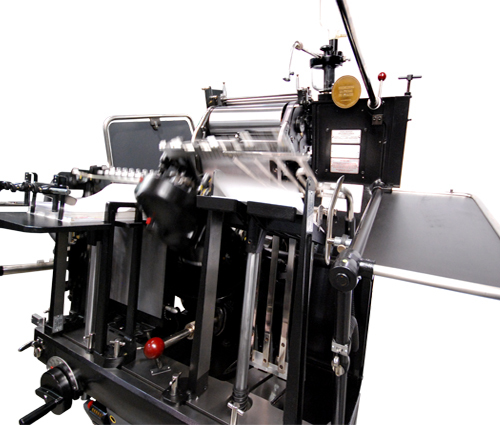 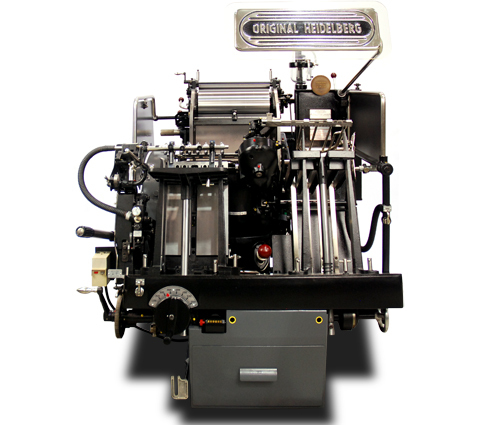 Our T Platen represents one of the last T platen presses made, as the production stopped in 1985.